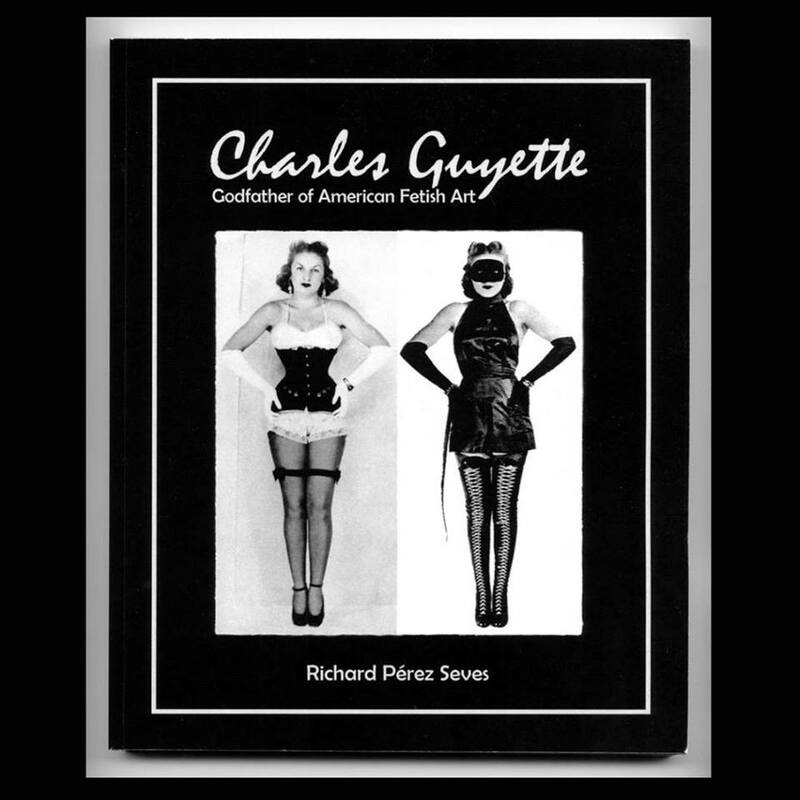 FetHistory: Edythe Farrell on Charles Guyette’s Lady Wrestling Amazon, plus Bettie Page’s Corset! Edythe Farrell on Charles Guyette’s Lady Wrestling Amazon, plus Bettie Page’s Corset! 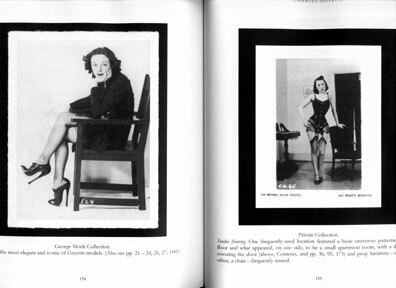 —Edythe Farrell, “The Lady Wrestlers,” American Mercury, Dec. 1942. 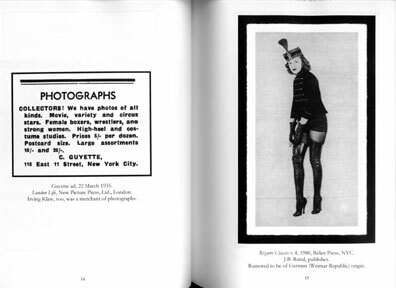 Here she is as a model for Charles Guyette. 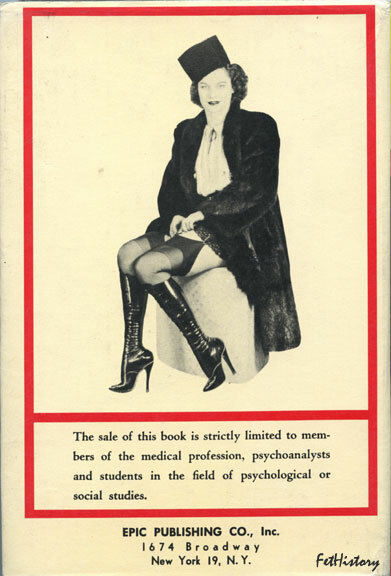 And, here, on the back of a hardcover book published by Leonard Burtman in 1960. 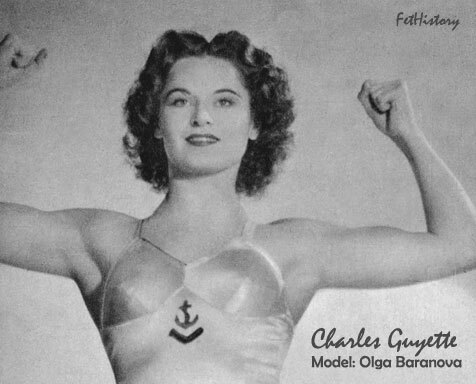 Edythe Farrell, who had a great eye for female beauty, had a particular fondness for this lady wrestler/model ... and her introduction came through Charles Guyette. Who was Edythe Farrell? 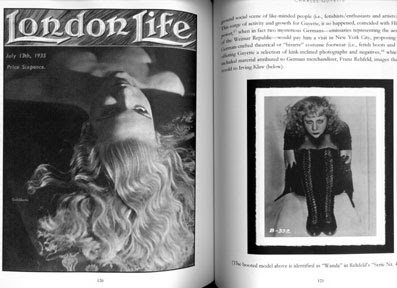 She was another outsider, a woman ahead of her time, who played a small but crucial role in the advancement of fetish art. 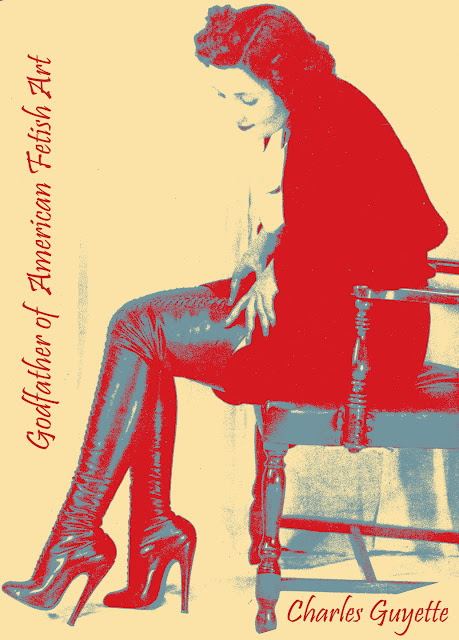 After marrying early in life, she rebelled against being a housewife and struck out as a tabloid journalist. She met with early success. 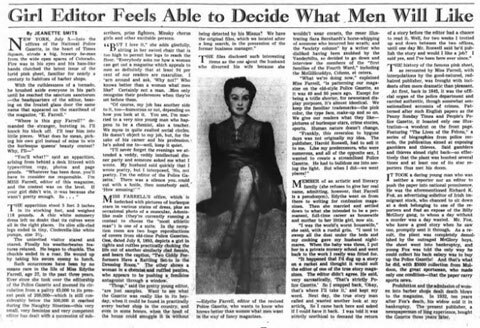 In 1938, at age 25, she became editor-in-chief of the National Police Gazette, and in the years following managed to quadruple that publication's circulation. It was also during this time that she became acquainted with Charles Guyette, a unique costumer with bizarre taste and a fondness for lady wrestlers. 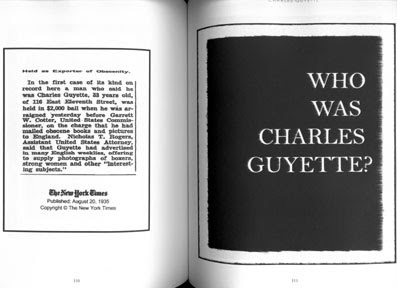 Her relationship with Guyette is detailed in the illustrated tribute: Charles Guyette. 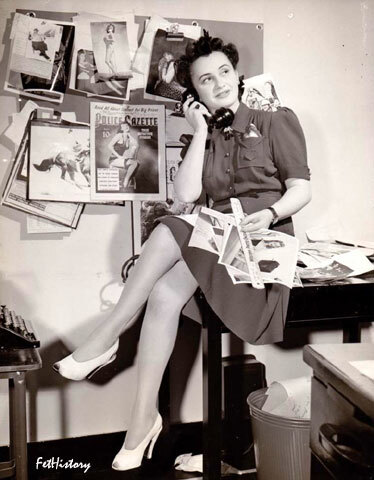 As editor for Harrison she continued to rely on Guyette and featured Guyette's lady wrestler friend, Miss Baranova, often. 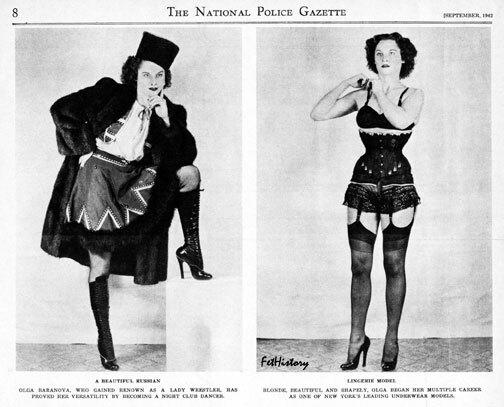 Here (below) is Baranova again in a 1942 issue of the National Police Gazette, edited by Farrell. The photos are from Charles Guyette. 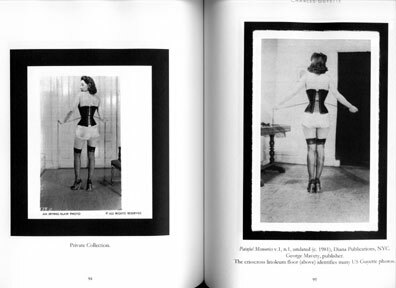 Recognizable in the photo on the right is Guyette's favorite vintage corset. 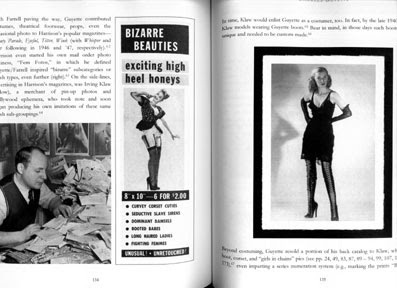 It would later appear on Bettie Page when Guyette became a costumer for Irving Klaw. 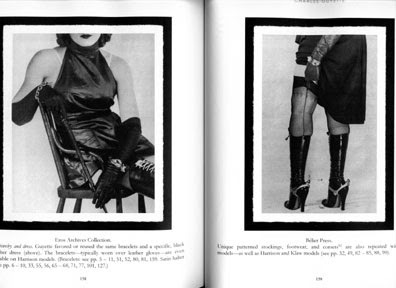 The same corset also appeared on Klaw model Rita Carlson, co-star of the lost Klaw short, "Mistress Betty Gets Spanked" (below), which was advertised in Klaw bulletin #102, circa 1955. 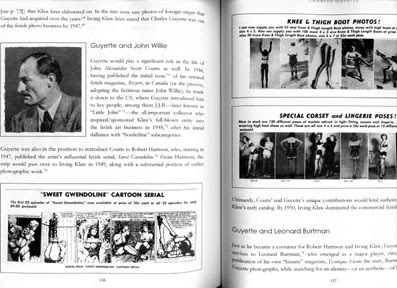 Aside from being a costumer (and Irving Klaw's predecessor), Guyette had also managed females wrestlers and boxers. 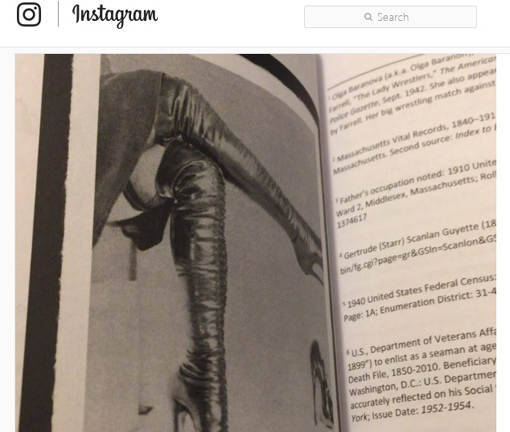 In fact, beyond corsets, ultra-high heels shoes and boots, "fighting women" was his primary interest. 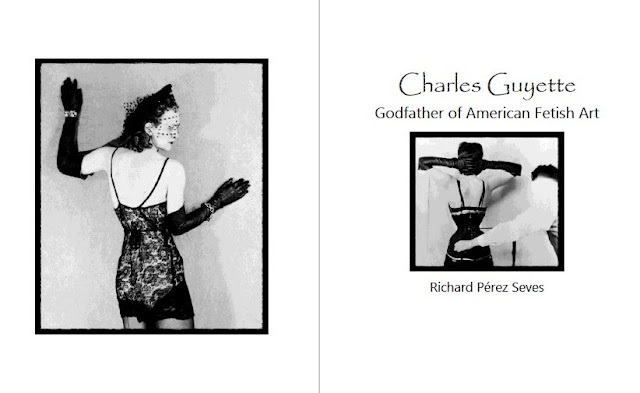 You can read more about the secret history of the birth of American fetish art and Charles Guyette in the new tribute, available now.